Daily Trivia: The “blood” that you see in infamous “shower scene” in Psycho is actually chocolate syrup. 1521 The Diet of Worms begins; an assembly of the Holy Roman Empire where Martin Luther made his famous appearance. 1851 RIP John James Audubon: Ornithologist, naturalist & artist, known for his paintings & prints of North American birds. 1910 RIP Thomas Crapper: Said to have invented the flush toilet. Many believe he simply “improved” the device invented by others. 1984 Michael Jackson’s hair catches fire while filming a Pepsi commercial. I missed National Chocolate Cake Day, but I will make up for it. Thanks for taking the time to visit my page! EEEWWWwwwwwww. Who would want to live on a diet of worms? Did you mean chocolate mousse? Mouthwatering picture, I’ve just had my breakfast and I’m already dreaming of all that chocolate sauce on a gooey cake…shame I’m a day late. Thank you for bringing me so much joy on this day. I will be adding this date into by calender, the one day of the year to celebrate chocolate cake with no regrets. I love today’s quote! And the food history too. And I am enjoying your blog so much! :) What a coincidence, it was peanut brittle day yesterday and we just ran out the day before that. Thanks for helping me stumble onto your blog (via your following my blog, which I am also very grateful for also). A thousand thanks for stopping by my blog today, and signing on to follow it. So glad to have discovered yours; I’m on board! I like to watch Face Off, on Syfy. It’s a show about make up and special effects artists and they create crazy monsters, aliens, zombies, you name it. One challenge they had last season was to make realistic looking blood. Chocolate syrup was one of the ingredients they had to work with! Makes sense that the blood from “Psycho” was made out of the choco syrup! I like it! let me know how it turns out. Wow – I had no idea there were so many days dedicated to food! Are these American holidays when you say ‘National ___ Day’? I guess that means other countries probably have lots of food celebration days that I had no idea about either. You got it! Some cities, counties, states, and even the congress have proclaimed all of these days. Food Holidays can into their own in the 1950’s and 60’s. How cool! Thanks for the info! Well, if it’s Chocolate Cake Day, I guess I shall celebrate with huge, honking piece! “Chocolate Mayonaisse”… I think I like the sound of that! Your right! Anyone out there recommend the “perfect” chocolate cake recipe? This is the perfect reason to ditch the diet for the day :) My oatmeal has suddenly lost all its appeal. That chocolate cake looks amazing too. Mmmmmmm…. Thanks for visiting my world.Hope that you enjoy your visit. Love fun facts like this,especially when it involves Chocolate! YUM! Thanks for recently visiting my new blog too! Oh dear, I had no idea. Now I’m going to have to celebrate! This is a day to celebrate! 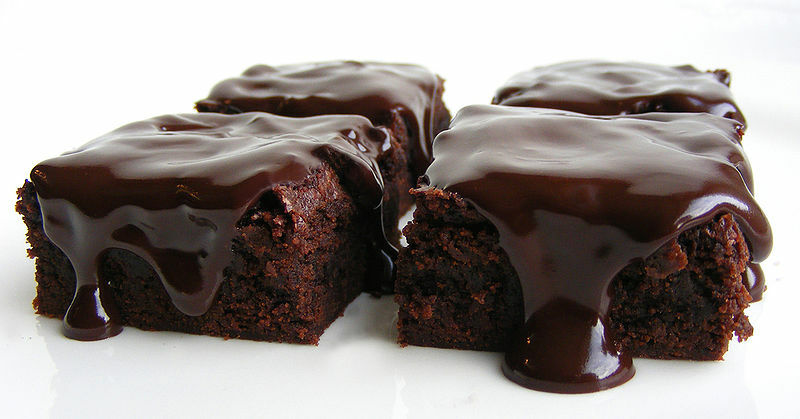 Oh…my…I think I just drooled over this post I am in love, and now craving chocolate cake! Yummm! Makes me want to bake a rich chocolate cake!!! Oh and I’m not a chocolate cake fan! This is now officially my favourite day of the year!